My concerns (as always) were ridiculous ; it conspires that Lebanon Island is nowhere near Lebanon – it’s one of the Islands at Dubai’s The World. 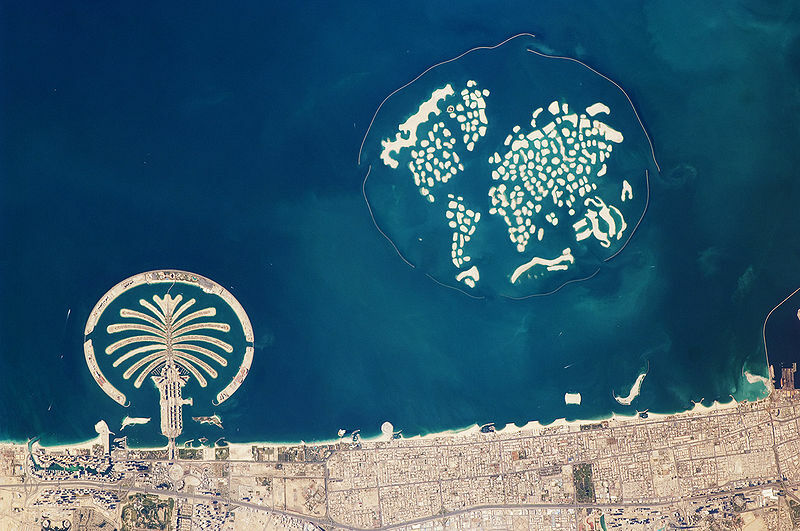 A man-made archipelago about 4km off-shore from Dubai – The World was supposed to be a billionaire’s paradise – a marvel of engineering and architecture glistening in the Persian Gulf – yet another opportunity for the Emirate to show off and peacock, yet after the 2008 Financial Crisis it remains a barren and desolate dystopia. Today, 99% of the atolls remain undeveloped – and only one is open to the public (Lebanon), most of the others are still just piles of concrete and sand .- possibly the most expensive piles of sediment in the world? One of these sandbanks will set you back around $60,000,000 … and will cost you about $1,000,000 a month to maintain. A yacht picked us up at Jumeirah Fishing Village, and sailed us out into the Persian Gulf … Which really is the most superlative place on the planet in November. It’s still 35 degrees out here. Autumn, and 95 degrees… If this was Britain? People would be dead in the street. Bliss! 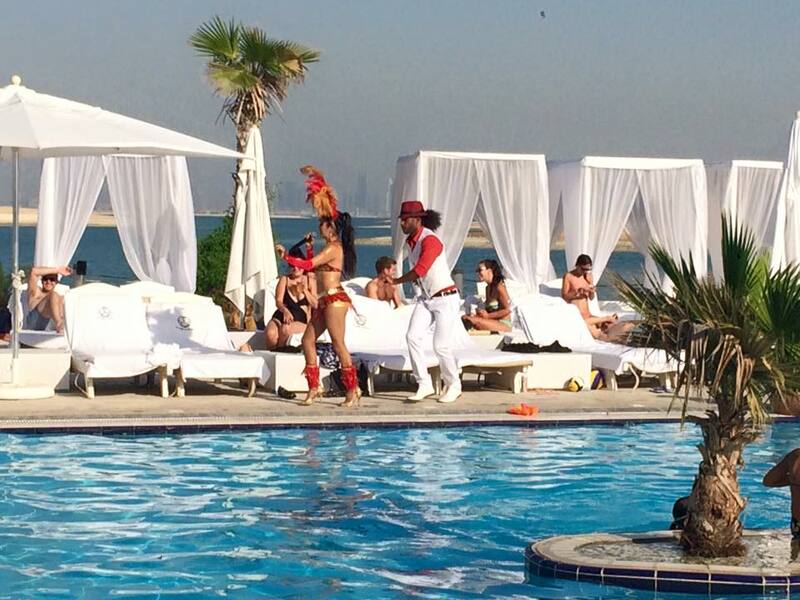 Half an hour (of Lebanese BBQ and taking selfies with the Burj Khalifa as our backdrop) later we arrived at the ominously named “The Island” – which has just about every convenience you could ever wish from a destination – a bar, a beach, a pool, a volleyball court, and enough Barcadi Breezers to make you taste like you’re 17 again. Samba dancers. Cabanas. Sunshine – With the skyscrapers and 7*hotels of the city just a dream on the horizon: I loved every second. Lebanon island works because the other islands don’t: if there were buildings and hotels and tourists on each segment of The World? It would be chaos. Ok, so staring out across the empty islets does feel a bit like you’re in a Dali painting or a Margaret Atwood novel, but the tranquil ambiance would be obliterated by views of fat, burnt Mancunians sunbathing on the atoll opposite if the other plots were developed too. You’re so close to the beach of the next nation you’d probably be able to hear their dull conversations about how much they’ve anticipated the new John Lewis advert, or what’s happening on Coronation Street. And NOBODY needs that in their life! Though on the plus side? Standing on the shores of Lebanon Island and never being more than 30 metres from the beach of the Isles of Syria or Palestine (because “Israel” doesn’t exist out here… but that’s a discussion for a blog entry just waiting to happen, and get me deported) – means that for the first time in your life you will be able to SWIM TO SYRIA or roll on the golden sands of Palestine (and not risk being driven from your land by missiles…) Hence I’d recommend going NOW, before they build on the rest, or before it all slips into the sea. Previous Every day’s an adventure.